Mother's Day is an important opportunity during the year for you to make something special for your Mom. This is to thank her for always taking care of you, and being the best Mom ever. 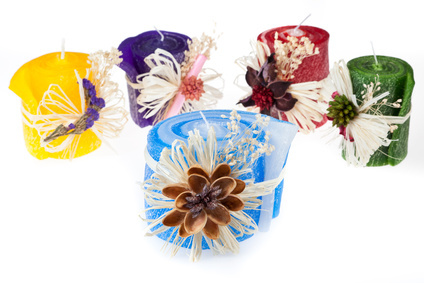 Homemade candles are a fun idea for Mother's Day gift you can surprise your Mom with. Start by choosing a jar or glass that is the right size for the candles you want to make. After you have your jar make sure to clean it and then coat it with oil, which will help with the removal of the candle. If you prefer you can use a decorative jar and leave the candle in it. Next it is time to melt the wax, and you will need adult supervision for this step since you will be using the stove. This project is a great opportunity to use of old half-used candles, but you can also start fresh by purchasing candle wax at a craft store. Put a pot on the stove and fill it up partially with hot water, then place the tin can in the pot. Next put the candle wax in the tin and turn the stove on to low. The wax will melt in the tin, as it melts you may want to create swirling colors, which you can do by putting small pieces of crayon in the wax and swirling gently as it melts. Make sure to watch the wax carefully because it can get too hot and burn. Now you need to dip you candle wick into the wax and allow it to harden, before pouring the wax into the jar. After the wick is dry press it into the metal wick tab. This will be the base of the wick in the candle. Some wicks will come with the metal wick tab already attached, if this is the case you won't need to worry about placing the tab onto the wick. Once your wick is prepared you will want to slowly fill your jar with the melted wax. Once the mold is full, push the wick with the tab into the melted wax. You can use a popsicle stick over the top of the candle to hold the wick up. Before finalizing, you can add various decorative objects to the candle by gently pressing them into the candle as you did with the wick. You can do this in stages as you pour the wax, you can line the bottom of the jar if you want, or you can leave out the decorative objects. Finish by making sure to hold up the wick, allow the wax to harden, then remove the popsicle stick when the wick can stand on its own. Continue to allow the wax to harden and when it is completely hard, gently remove the candle from the jar, you may need to have an adult run a knife around the edges to remove it from the jar. Give your Mom your wonderful homemade candle with a thoughtful card or a coconut postcard (also made by you) + get dad or a grandparent to help you make Mom breakfast and you are sure to make your Mom's Mother's Day a fantastic one.